Today Sylke went to the surgery on her own - but it was great to be able to go to the new local one in the Commons Room in Simonds Court. (The new local ones are every first Wednesday of the month from 11 am to noon.) Dominic Hiscock was there to talk to her. Next week on Tuesday (9 June from 3 pm to 5 pm) the City officers are holding a Street Meet for the Abbotts Barton council house tenants. They are going to talk about items like house maintenance and the new benefit system, and are going to walk about the area to identify possible issues. 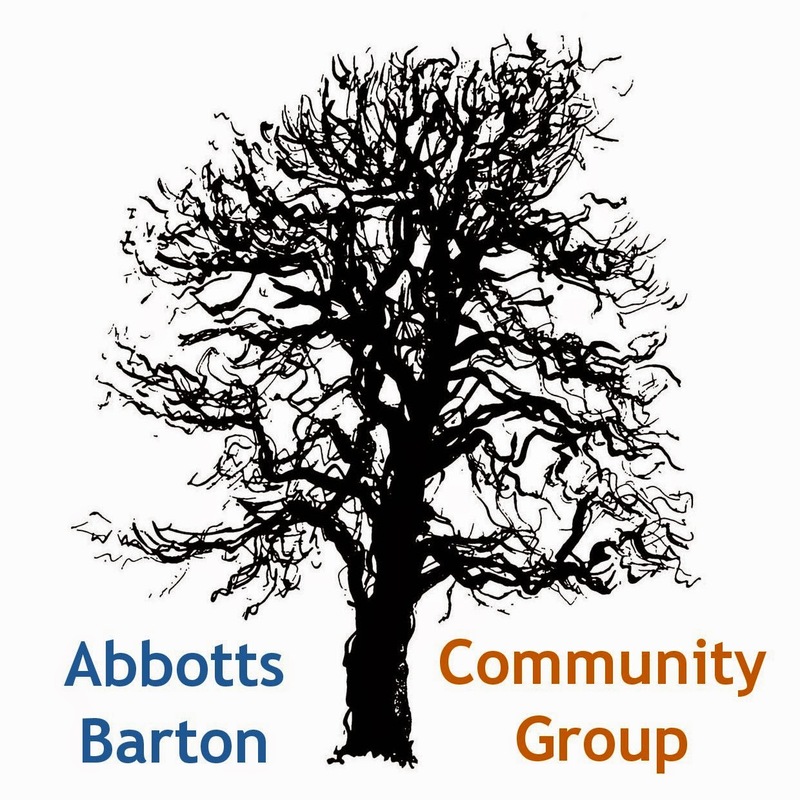 Did you know that about 40% of the houses of the council estate on the Eastern side of Abbotts Barton are occupied by council tenants (the others are privately owned)? Their rents and rates are paying for the upkeep of the green areas surrounding the houses built by the council. The community plan which Winchester City Council have asked us to help develop was mentioned again. The community group's management committee didn't really have time to work on this so far. Here is a quote from our surgery write-up in March: "having an agreed plan gives the community a better footing when working with the Council on future projects in the area. The plan is so far based on the 2012 consultation event feedback that came direct from Abbotts Barton residents, and as a lot has happened since then we need to update what has been put together so far. Once the document has progressed somewhat we will work with the community to get feedback on how we have captured what people want. This project is still in the very early stages and it will progress very slowly due to time constraints on our end. (We would very much welcome offers of assistance with this project, if you would like to help developing the plan please contact us! 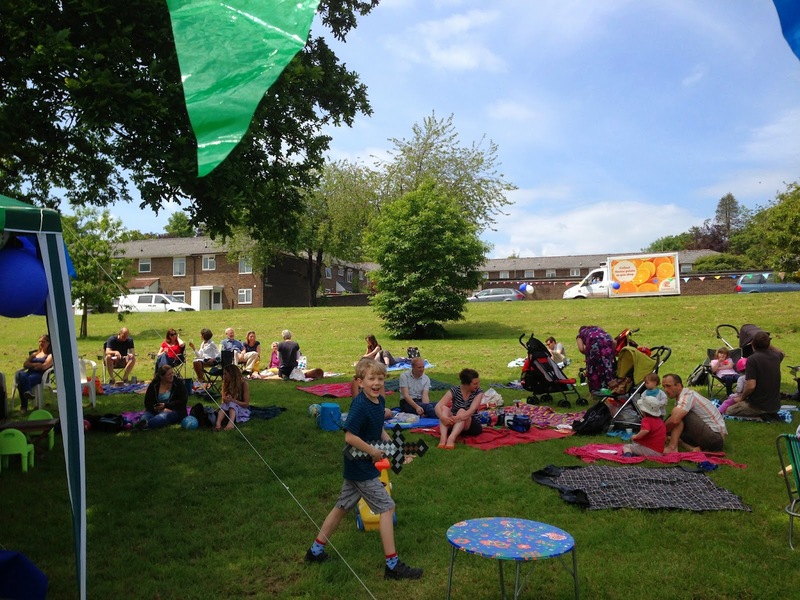 If you would like to find out more about community planning, there is general information available on the web, for example here and here.)" Sylke reported to Dominic that she had been in contact with Council officers in March about the foot path on Hillier Way next to the football club as it was very muddy then and also the ivy hanging from the football club trees is getting bigger and bigger and forces grown-up pedestrians to step off the path. She was told in March that the maintenance team were going to deal with it when they would have time but to this day nothing much has happened to the ivy. She's not actually sure whether the path has been cleaned by them since then as it got a lot drier in the weeks after. Let's see if Dominic can get them to do something! Finally there was a quick chat about what's going on with the Leisure Centre as Sylke wanted to know when the multi-games area (MUGA) will come back (the ball games area that has now been taken over by the new skate park was supposed to be moved and not just disappear). The MUGA is dependent on the plans for the Leisure Centre and apparently the City Council are still busy in finalising their report (with proper numbers this time!) on which they will base their decision on how to go forward. Please see our events list for future councillor's surgery locations, dates and times! The next one is tomorrow evening in Hyde.